"Trump will not be beat by someone that can't go toe to toe with him. He will ensure that 2020 is a brutal campaign. If the Dems nominate a politician who 'goes high' he will be re-elected & Dems will then be looking around saying 'what happened." Those are the words of Michael Avenatti, who thinks he's that someone. According to Access Online, socialite Zeta Graff filed a $10 million defamation lawsuit against Paris Hilton "claiming Paris fed a slanderous story to the New York Post about Graff attacking her at a club and ripping a necklace off her neck in what was supposedly a jealous rage over Hilton's fiance at the time, Paris Latsis. During her deposition, Hilton denied knowing anything about the article. However, her former publicist "went on the record to say that Paris was the one who gave him the information to pass on to the Post." Michael Avenatti was one of the lawyers representing Graff, reported Business Wire, and we're assuming he helped launch quite the offensive because reports surfaced that Hilton being too "emotionally traumatized and distraught" to stand trial — and perhaps also too busy partying. Regardless, the feuding ladies reportedly reached an "amicable" and confidential agreement. In a statement to Access Online, their camps said the women were "glad that the matter could be resolved without the time and expense of a trial." 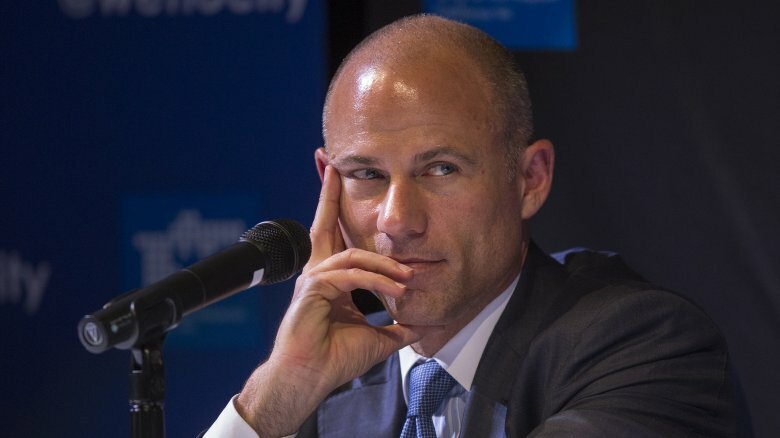 In October 2018, Michael Avenatti was ordered by a Los Angeles Superior Court judge to pay $4.85 million in a dispute with a former colleague named Jason Frank. According to Time, Frank worked as an independent contractor at the law firm of Eagan Avenatti, where he was guaranteed "25 percent of its annual profits, along with 20 percent of fees his clients paid." 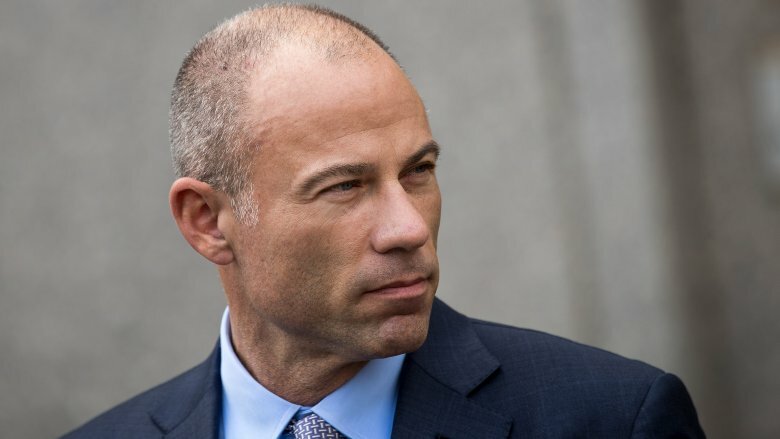 Avenatti reportedly never showed up to the hearing and "never filed arguments in the case," leaving the judge no choice but to rule in favor of Frank. "My client has had an awful lot of money owed to him for a lengthy period of time and it has been delayed through one tactic or another," Frank's attorney, Eric George, told The San Diego Tribune. "Today, finally, the right thing happened." Avenatti may not have had much to say during the hearing, but he had plenty of dirt to say to the media right after that ruling. "Any judgment issued against me will be deducted from the over $12 million that Jason Frank owes me and my law firm Avenatti & Associates as a result of his fraud," he told The Hill. "We look forward to receiving his check for over $7 million." When potential candidates of the opposition party announce their plans to run for president, they historically wait until after the midterm elections. Then they go to Iowa. Michael Avenatti didn't want to wait that long. He went to Iowa in August 2018 to tell voters his plans to take back the White House. 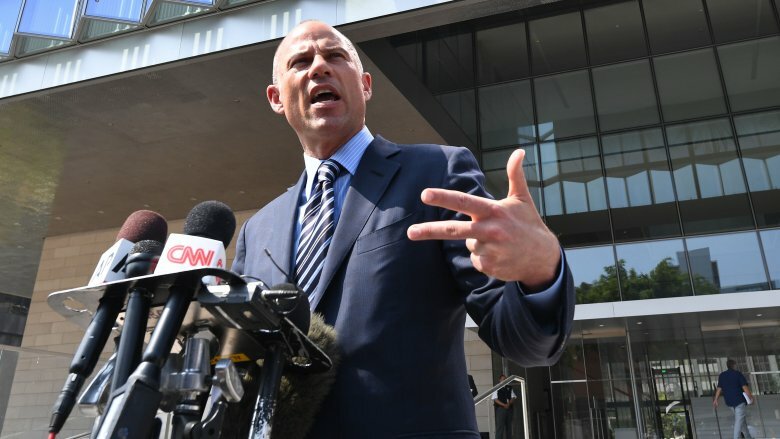 "What I fear for this Democratic Party that I love is that we have a tendency to bring nail clippers to gunfights," Avenatti told the crowd at the Democratic Wing Ding (per the Associated Press). "Tonight I want to suggest a different course. I believe that the Democratic Party must be a party that fights fire with fire." He continued, "When they go low, I say, we hit harder." Avenatti's appearance at the event reportedly "boosted ticket sales," and Wing Ding Chairman Randy Black claimed Avenatti's status as an outsider was appealing. "You have Trump, who opened up doors for people who never entered a political arena before. Michael Avenatti has done the same thing." On Nov. 1, 2018, Avenatti released his first political ad paid for by The Fight PAC, which he apparently founded. According to Politico, the spot "opens with individuals of different races and ethnicities, repeating: 'We the people,' until one finishes with: 'Are mad as hell and we're not going to take it anymore.'" In an October 2018 profile in Time, Michael Avenatti shared his thoughts on the future of the Democratic Party and who should be its presidential nominee in 2020. "I think it better be a white male," he said. "When you have a white male making the arguments, they carry more weight. Should they carry more weight? Absolutely not. But do they? Yes." Naturally, Avenatti's remarks prompted a severe backlash on social media and from black political commentators, such as Roland Martin and Keith Boykin. When asked for comment, Avenatti told CNN he was "misquoted" and "taken out of context." He then attempted to further explain his thought process. "Let me be clear: I have consistently called on white males like me to step [up], take responsibility, and be a part of stoping [sic] the sexism and bigotry that other white males engage in. It is especially important for them to call out other white males. I make this pt [sic] in my speeches," he tweeted. Maybe leave it alone, dude. In April 2018, Attorney General Jeff Sessions implemented a "zero-tolerance" Southwest border patrol policy that made both attempted illegal entry and illegal entry into the United States a prosecutable offense. Enforcing this policy meant children were separated from their parents and kept in detention centers. Media access into these detention centers was heavily restricted, but a former employee at a child detention center in New York secretly shot photos and video inside the facility and provided it to NBC News and MSNBC on the condition of anonymity. 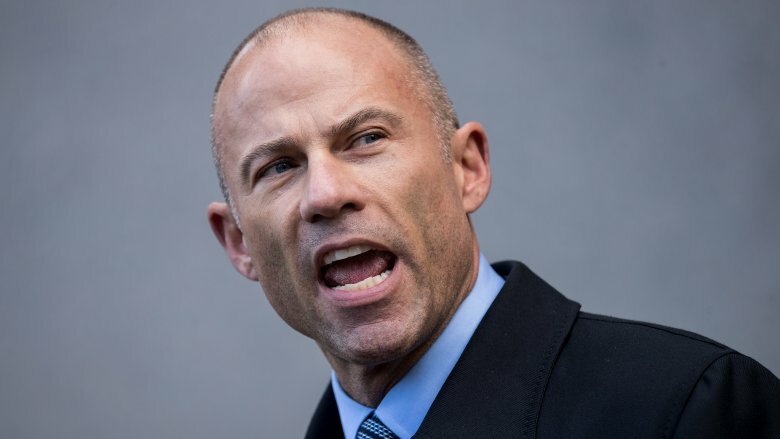 During the broadcast, Michael Avenatti revealed that the anonymous employee who shared the footage was one of his clients. "I applaud the bravery of my whistleblower client, who showed great courage in coming forward and providing the video and images we are showing on @maddow tonight. She is a true patriot," he tweeted. 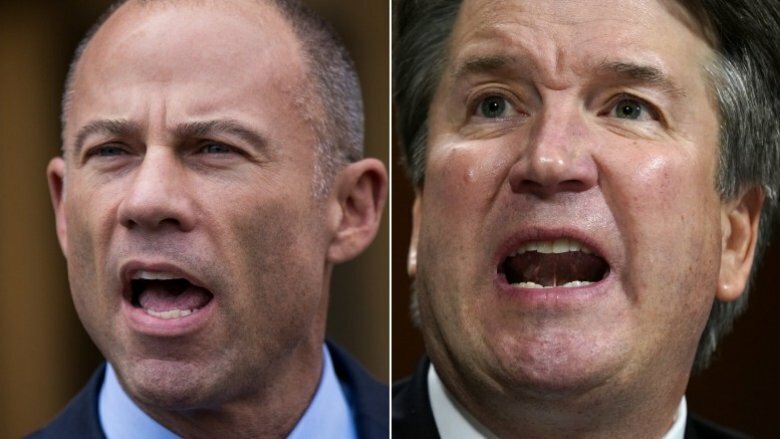 On October 25, 2018, Senate Judiciary Committee Chairman Chuck Grassley referred Michael Avenatti and his client, Julie Swetnick, to the Justice Department for criminal investigation claiming "contradictions" in their statements to Congress about Supreme Court Justice Brett Kavanaugh's alleged sexual misconduct (per CNBC). The committee stated that Swetnick "specifically and explicitly back-tracked or contradicted key parts of her sworn statement" while Avenatti "cast serious doubt on or contradicted the allegations while insisting that he had thoroughly vetted his client." 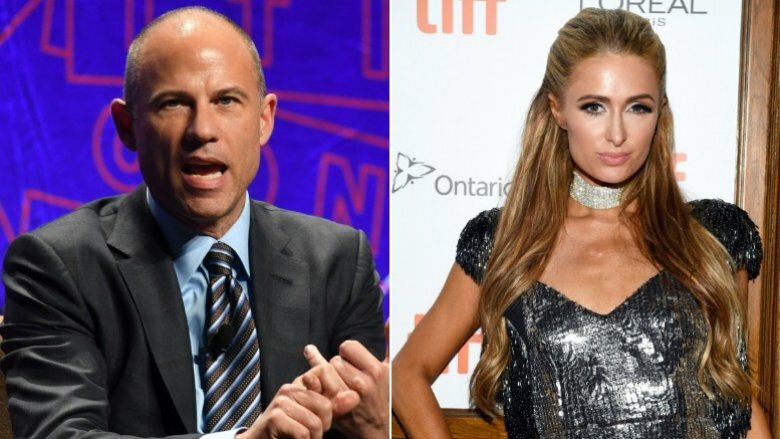 Avenatti took to Twitter to bark back. "It is ironic that Senator Grassley now is interested in investigations. He didn't care when it came to putting a man on the SCOTUS for life. We welcome the investigation as now we can finally get to the bottom of Judge Kavanaugh's lies and conduct. Let the truth be know." When CNBC reached out to Avenatti for comment, he reportedly referred to that tweet and added, "Sen. Grassley has just made a major mistake. Let the investigation into Kavanaugh and his lies begin." The official Los Angeles Police Department Twitter confirmed that Michael Avenatti was arrested Oct. 14, 2018 on suspicion of domestic violence. 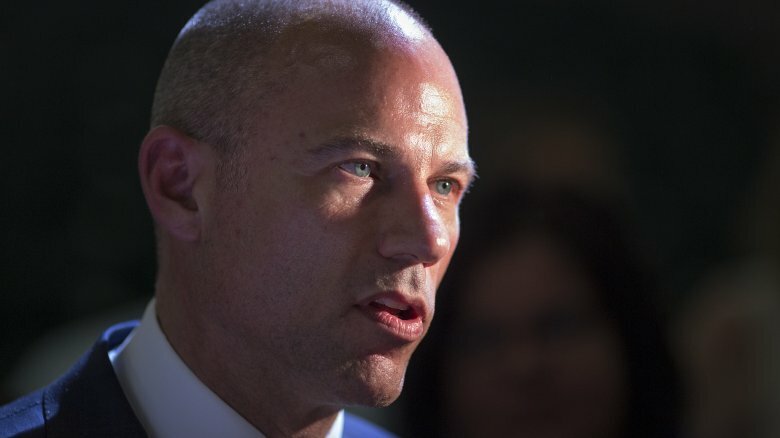 According to TMZ, an unidentified woman filed a felony domestic violence report after two separate confrontations with Avenatti that left her face "swollen and bruised." One of the confrontations reportedly occurred at an exclusive apartment building in Century City. Security reportedly noticed a woman outside "sobbing and screaming on the phone" and brought her inside. 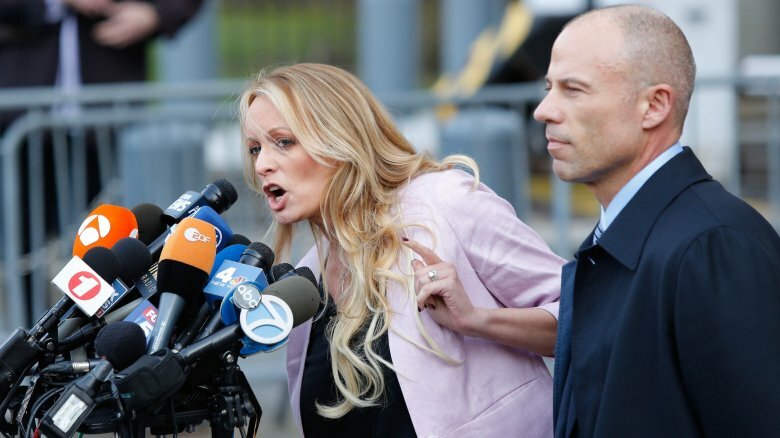 Soon after, Avenatti allegedly showed up hollering, "She hit me first … this is f***ing bulls***." After posting $50,000 bail, Avenatti held a news conference to vehemently deny the allegations. "I have never struck a woman. I will never strike a woman." He said he would be "fully exonerated." To add to the drama, TMZ initially identified the woman as Avenatti's estranged wife, Lisa Storie-Avenatti. However, according to a statement from Storie-Avenatti's lawyer, she was "was not subject to any such incident." Michael told TMZ to "get [its] checkbook ready" because of its alleged "malicious and false" reporting. The fallout from Michael Avenatti's domestic violence arrest happened quickly. According to CBS News, his most high-profile client, Stormy Daniels, claimed that she would fire Avenatti "if the allegations turn out to be true" because she "cannot condone or support someone who is abusive." She noted "that right now they are just allegations," and she plans to "reserve judgment." The View co-host Sunny Hostin called Avenatti a "friend of the show" due to his frequent appearances, but he may not be a bestie for long. If the allegations are true, Hostin said the panel "would have to disavow him." Co-host Joy Behar called the allegations "very upsetting" and said Avenatti "should take a polygraph test just to clear the air." And since Avenatti considers himself a champion of the #MeToo movement, co-host Abby Huntsman declared he should be "raked over the coals" if found guilty. Avenatti's political aspirations also took a hit in the wake of his arrest. "The Vermont Democratic Party has canceled Mr. Avenatti's forthcoming scheduled appearances in Vermont, and will be refunding all ticket sales," R. Christopher Di Mezzo, the communications director for the party, said in a statement (via the Daily Mail). Even so, Avenatti has not given up on a run for the White House. "I'm still considering it," he told USA Today. Is Avanatti embroiled in a right-wing conspiracy? Jacob Wohl is a right-wing media personality and conspiracy theorist who might be best known for his bumbling attempt to take down Special Counsel Robert Mueller with a sexual harassment hoax. Wohl's company, Surefire Intelligence, was at the center of that hoax, so when the company tweeted, "Surefire Intelligence strikes again" in response to the news of Avenatti's arrest, it raised a few eyebrows … and probably Avenatti's blood pressure. "First Mueller and now me. 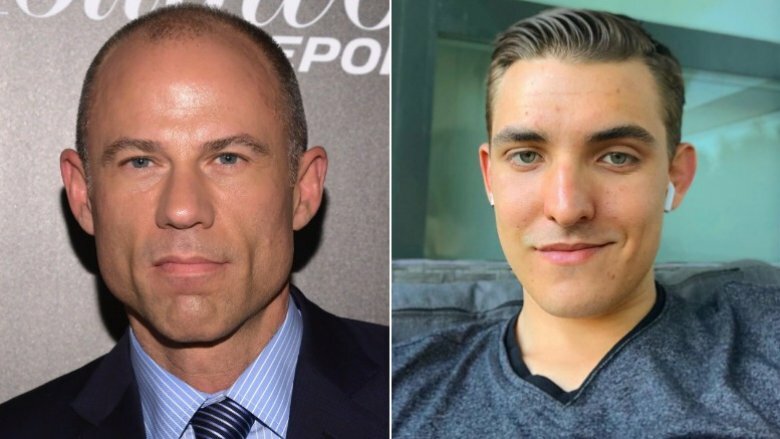 When we are fully exonerated I am coming for you Jacob Wohl aka Surefire," Avenatti shot back on Twitter. Wohl didn't flinch. "Michael Avenatti's criminal threats against me are being reported to law enforcement as we speak," he told NBC News. "Coming from a guy who is on bail for a violent felony, it's quite unnerving." Wohl claimed it wasn't him who sent the aforementioned "strikes again" tweet, but rather an "associate." The back and forth continued as Avenatti took to Twitter to respond. "Jacob Wohl — you continue to make false accusations against me to try & destroy my life. You are now claiming I have been charged with a felony when I have not been charged with anything. I promise that you will soon learn the hard way that you are not as smart as you think," he tweeted. On Nov. 16, 2018, Avenatti lost an appeal to block the eviction of his law practice, Eagan Avenatti, from its California offices. 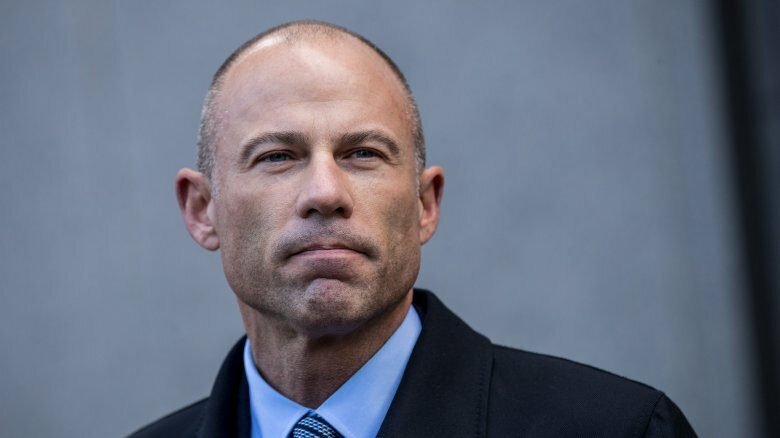 According to the Los Angeles Times, Superior Court Judge Robert J. Moss affirmed an order for Avenatti and his staff to vacate the Newport Beach office building after the firm skipped four months of rent payments totaling $213,254. Avenatti reportedly failed to show up for the hearing. 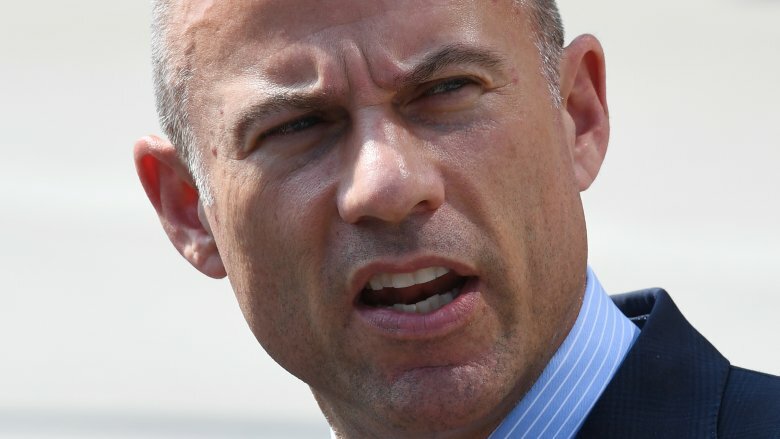 When the judge asked the landlord's attorney, Mark Kompa, if he had heard from Avenatti, Kompa replied, "There were other events that transpired so I haven't heard from him since then." Well, that is definitely one way to say it, friends. Again, Avenatti rushed to social media to claim that his legal woes were a political setup. "More nonsense, this time relating to an 'eviction.' First, it's not even my current firm. Second, they were already in the process of moving so they didn't need to be 'evicted.' The right is so intent on eliminating me as a threat, they will do and say anything. #Garbage," he tweeted.